Revengeofthe5th.net: What Did the Real Burnt Vader Helmet Look Like? What Did the Real Burnt Vader Helmet Look Like? We've seen what Darth Vader's helmet and mask looked like according to Star Wars: The Force Awakens. 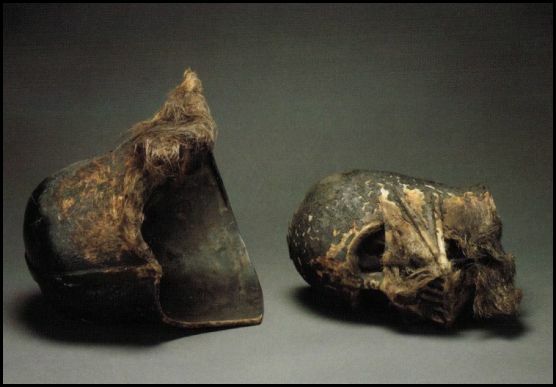 However, Darth Vader himself (Dave Prowse) revealed a picture of what the actual screen-worn helmet and mask looked like after being burned on the funeral pyre at the end of Return of the Jedi. Thanks to Mr. Prowse for his sharing!